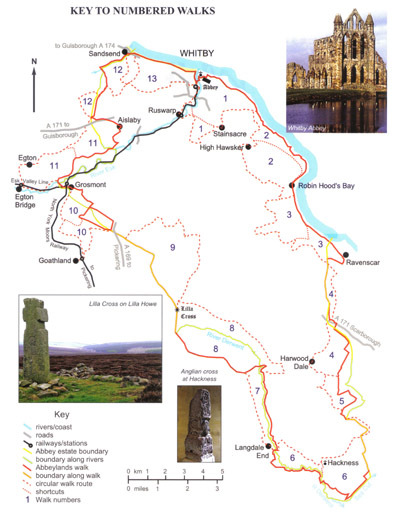 The 54 mile linear route follows as closely as possible the boundary of the medieval estate along the North Sea coast and over the North York Moors. As with John’s other books, the linear trail has been subdivided into 13 inter-linked circular walks each of about 10 miles length. Most of these have shorter alternatives. Roger Pickles has written the historical and special interest information.